Welcome to Danteworlds, an integrated multimedia journey--combining artistic images, textual commentary, and audio recordings--through the three realms of the afterlife (Inferno, Purgatory, Paradise) presented in Dante's Divine Comedy. The site is structured around a visual representation of Dante's worlds: it shows who and what appear where. Click on regions within each realm (circles of Hell, terraces of Purgatory, spheres of Paradise) to open new pages featuring people and creatures whom the character Dante meets during his journey. Click on individual figures in the regions to view larger images in pop-up windows. Available for each region are explanatory notes, a gallery of artistic images, recordings of significant Italian verses, and study questions--all aimed at enriching the experience of reading Dante's poetic vision of a voyage literally out of this world. Danteworlds is conceived as a complement to--not replacement of--the experience of reading and discussing Dante's Divine Comedy. It is therefore recommended that you first read the cantos describing a particular region (click here for links to the text in electronic form) and then visit that region in Danteworlds. Danteworlds is "an invaluable resource for specialists and novices alike," writes E. S. Hierl (Harvard University) in Choice Reviews Online, "the sort of multimedia experience that those in the digital humanities strive for" (August, 2010). The subject of an interview in Life & Letters, Danteworlds was selected in 2008 by EDSITEment (National Endowment for the Humanities) as "one of the best online resources for education in the humanities." It was featured in the literary blogs of the New Yorker (Jan. 8, 2009) and the Los Angeles Times (Jan. 14, 2009). 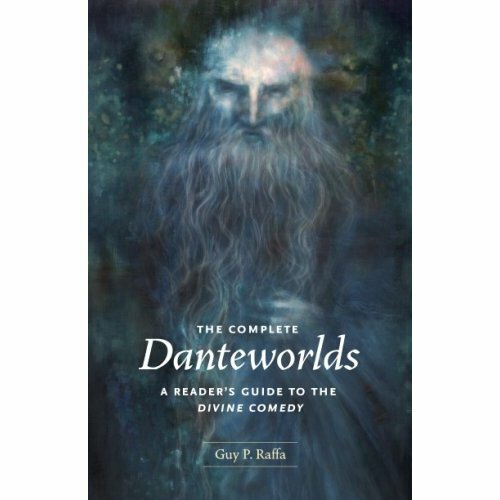 The Danteworlds Web site contains an abridged version of the original commentary contained in The Complete Danteworlds: A Reader's Guide to the Divine Comedy (2009) and Danteworlds: A Reader's Guide to the Inferno (2007), both published by the University of Chicago Press. 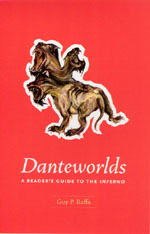 The Complete Danteworlds also features historical overviews of the three realms, plot summaries for each region (circles of Hell, terraces of Purgatory, spheres of Paradise), a chronology of major events in Dante's life, illustrations of the three realms, a map of Italy in the 13th Century, additional study questions, and an extensive bibliography (classical and medieval sources as well as modern studies and translations).